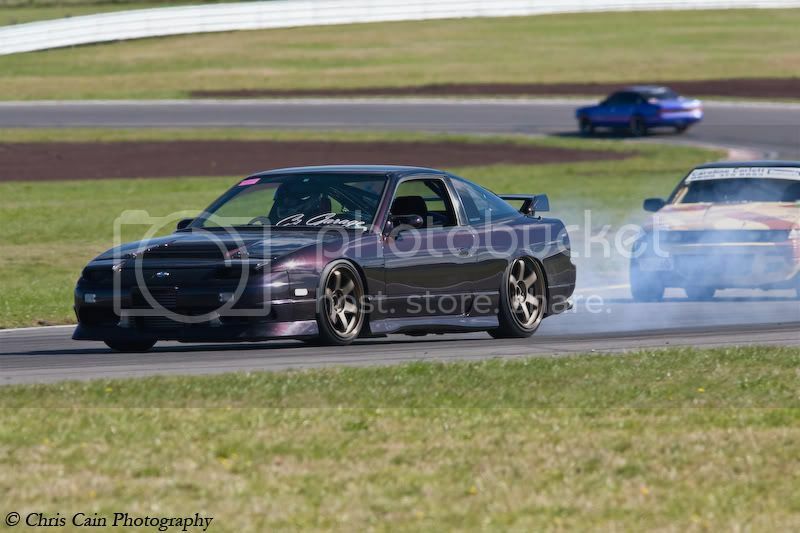 So we organised a truck and trailer for Adams car, and drove 5 hours down to taupo for a drift day on Monday. We actually drove down Sunday and stayed the night at a camp. Got to the track early Monday morning, got the car off the trailer, unloaded all the tools and spares etc. Watched the first two groups go as adam was in the third, the track is awesome, full track drifting was allowed, and the weather was perfect. Chris even made the trip down in his ute to take photos. Adam gets out there, does his warm up lap then on his first drift lap Didn't even get to drift one corner. Turbo dead, can't find a spare, pack up and go home. Awesome. Daaaaaaaaaaaaaaaaaaam it On a slightly happier note, another taupo day has been confirmed for june, so we are both heading down for that.